But you already knew that didn't you? 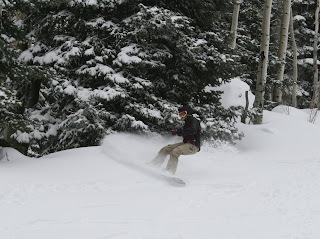 I think the reason is obvious- 16" of snow so far this week with more expected! I forgot to mention last week that the Open Rail Jam video is up. Click here to watch.